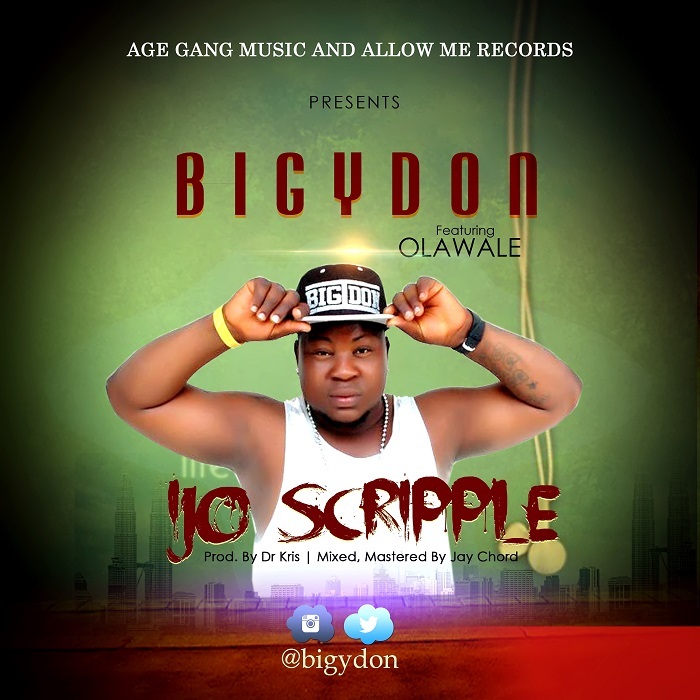 One of Mushin finest, Bigydon took after several Nigerian artistes by introducing to the world another kind of dance step which he called “Scripple Dance”​ (Ijo Scripple). Bigydon gang up with Age Gang mate Olawale to deliver this new dance style which is expected to dominate Nigeria and Africa soon. The beat was produced by Dr Kris, while the mixing and mastering was handled by the famous Jay Chord.